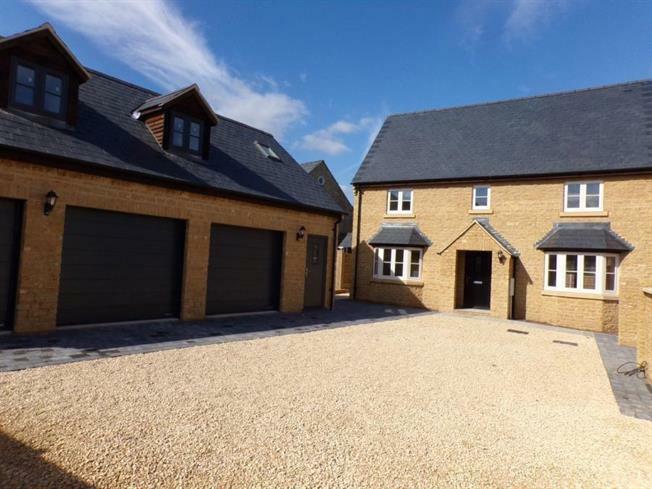 5 Bedroom Detached House For Sale in South Petherton for £590,000. FEATURED IN THE BIG OPEN HOUSE 27th and 28th April. A spacious newly built detached 5 bedroom stone built property situated on a quiet no-through road on the town outskirts. With open country views, a good sized garden, ample parking and a TRIPLE GARAGE with large room and ensuite shower room for guest use/annex and a level rear garden. The accommodation comprises of a 21ft kitchen/living/dining room with bespoke kitchen fittings and built in appliances & a separate utility room off the kitchen. Master bedroom with en-suite shower room and walk in wardrobe. Guest bedroom with en-suite shower room and 3 further double bedrooms. Family bathroom. Spacious entrance porch, downstairs cloakroom, 21ft sitting room with feature stone fireplace surround.